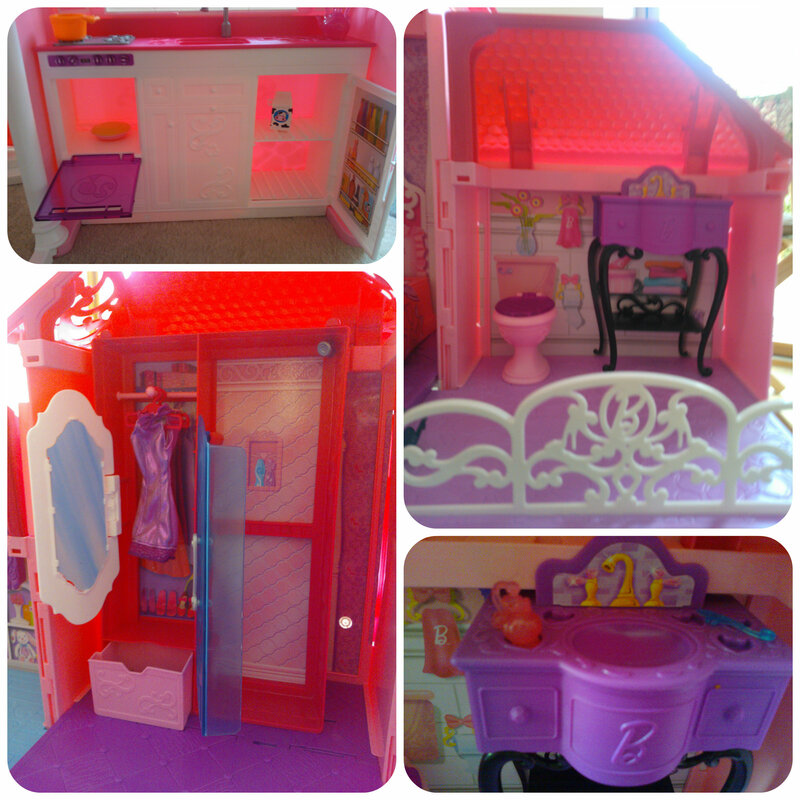 Barbie Malibu House from Mattel has to be every little girls dream house to for their Barbie dolls to live in and it certainly brought a huge grin to Miss M’s face when she received this to review. 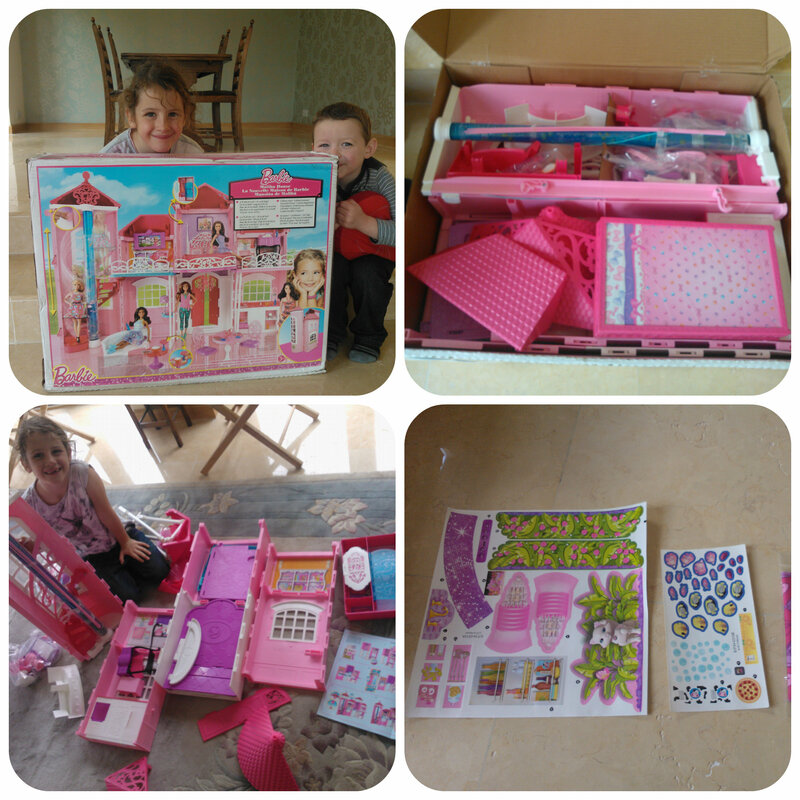 The Barbie Malibu House comes in a large box but only partially built so does require some self assembly to put it all together and additional stickers to finish the decor. This will require an adult and took me a good half hour to get it all finished. Personally I would pre build this if it was a gift so that the child receiving it could play with it immediately and no messing around on the morning of a birthday or Xmas. Once built the Barbie Malibu House consists of a fold out house which on one side is the front of the Malibu house with large opening double front doors and on the reverse is the inside of the house built on two levels with a spiral staircase to get between floors. The staircase has a cyclindrical fish tank down the centre making it very stylish and a very clever mechanism that you stand a doll in, pull down a lever on the side of the house and the doll moves upstairs by herself! You can also do the reverse to come down again. The house also folds around into square shape to close it up for easy storage and clips shut. We do prefer to leave it open though against a wall so we can leave all the furniture set up and it’s always accessible to play with. The house is split into six areas plus the staircase with upstairs having a tv lounge, bedroom and bathroom, and downstairs a kitchen, hallway and sitting area. I have to say I was quite impressed with the amount of accessories and furniture that are included with this house, much more than I expected making it a complete toy ready to play with. The only thing you need to add is a doll. 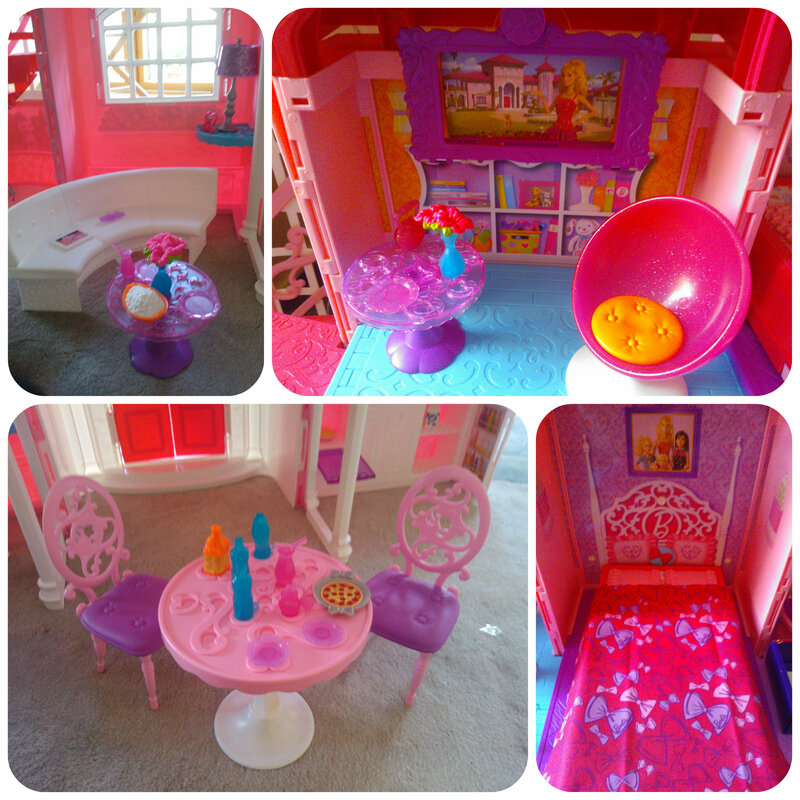 Everything you see in the pictures below comes as part of the Barbie Malibu House, the only thing we have added are the dolls! The modern sitting area upstairs includes a rather funky circular chair and a tv screen which if you wish you can simply slot a smartphone into it and play a video for Barbie and your child to watch! My children were quite fascinated by this and we did watch some short Barbie clips on there but I wouldn’t leave my phone in their unsupervised. This would be perfect though if you have an old phone that you no longer use and you weren’t worried what happened to it. The bathroom contains a toilet with lift up seat and a vanity unit sink area, the bedroom has a reversible bed that when lifted up converts to a wardrobe and shower. The bed comes with two plastic pillows and a fabric duvet cover. In the kitchen there is a full width kitchen unit containing an oven, hob, sink and fridge. The oven and fridge open so that you can put things inside. Included in the house are a sofa, coffee table, bubble chair, taller table, 2 chairs, lamp, tablet, phone, toothbrushes, toothpaste, cutlery, various drink cups, plates, pizza, bowl of popcorn, vase of flowers and much more!! Both tables have a pretty looking design on top as does the kitchen worktop. It wasn’t until we began to play that I realised a rather ingenious design concept with them is that there are small indents that match the bottom of all the plates, cups, bottles, kettle etc which enables them to fit together so that you can’t knock anything off! I was really impressed with this as I remember as a child spending much time trying to stand little items on a table for my dolls. Here if you knock over a table all the items stay attached – perfect! 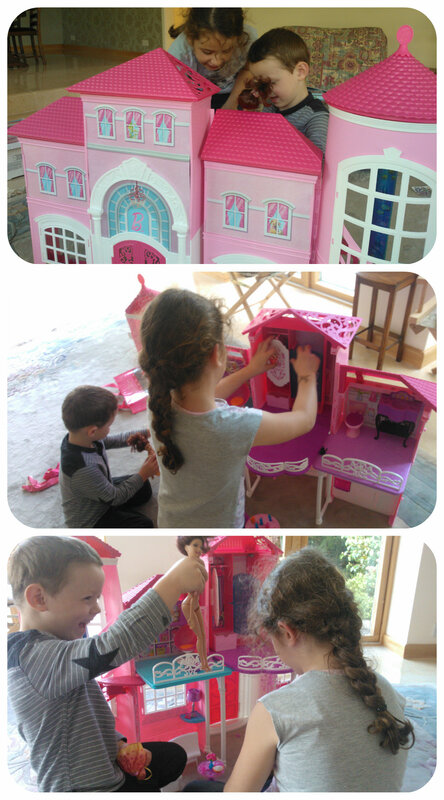 The imaginative play potential with this Barbie house is fantastic. 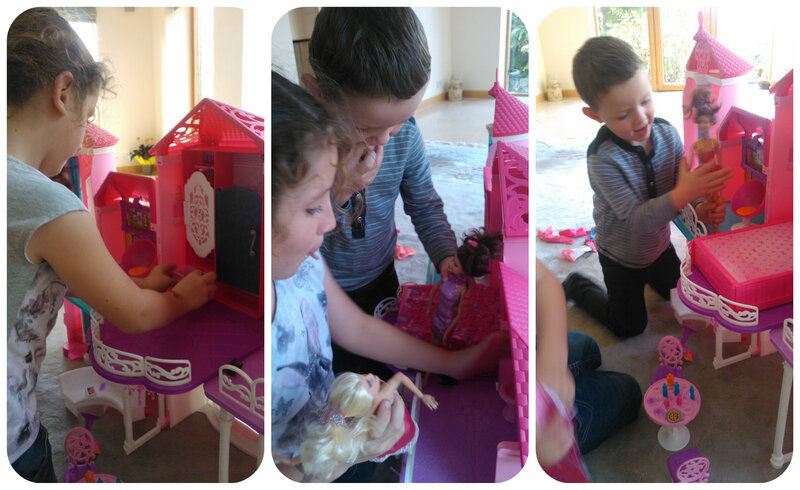 Both of my children got stuck in straight away taking the dolls on adventures and inviting them over for tea. They loved knocking on the large front door and letting the guest dolls in for a party. What I like about the Barbie Malibu House is that it is quite wide, which easily allows more than one child to play at a time. Although the Barbie house is plastic, it does feel strong and durable, and the accessories are a softer plastic meaning they are unlikely to break. 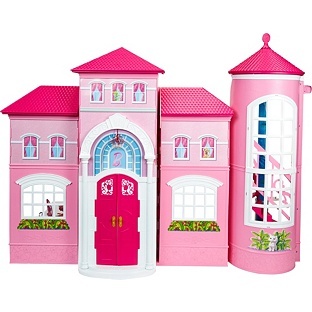 I think this is an amazing house that will provide hours of fun and be a dream toy for most young girls. With the special lift to get up the stairs, the double sided bed/wardrobe and all of the pretty accessories, there is so much to play with and do, which along with their imagination will give hours of playtime. I think the Barbie Malibu House would be the perfect toy for any young Barbie fan, it really does help to bring your dolls adventures to life and has lots of pretty features that make it a dream house for your dolls to live in. I know this would have been at the top of my Christmas list many, many years ago! 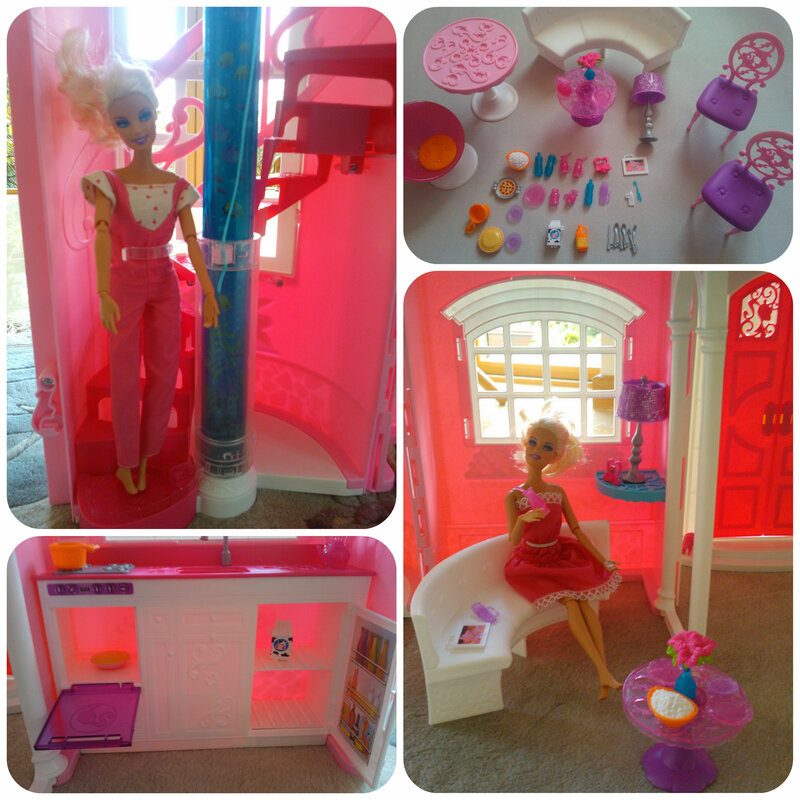 This entry was posted in Reviews and tagged Barbie, dolls house, lift, malibu house, mansion, mattel, playhouse by Fiona Martin. Bookmark the permalink. it was also my dream too!! This look perfect for my daughter to keep her barbie! Lovely set! So much to do in there! Love this house! I want one for myself. That looks amazing! I would have loved that as a child and I know a few little girls now who would really like this. Great that so much is included too.